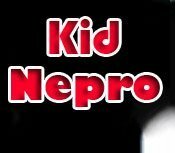 Kid Nepro has seen Korg's keyboards come a long way since we first programmed sounds for the Korg Poly 800 back in the early 80's. It was with great anticipation and excitement that we opened the box when our Karma arrived. We had been reading about it for the last six months and could not wait to get our hands on it. We are happy to report that all the buzz and hype surrounding this new technology are not only true, but that this could be the most unique breakthrough electronic music has seen since the advent of MIDI. The first thing we wanted to create is the ultimate soundtrack set of patches for the ultimate soundtrack machine. We figured a good place to start would be to import our Triton Soundtrack/Film Collection into the Karma and then add the Karma functions on top. We have gotten a great response from Triton owners to our Soundtrack patches and knew they would sound great in the Karma. Our Triton patches do sound great in the Karma. However, they are only a starting point on a long sonic journey. We then added the Karma's "Generated Effects" and "Real Time Controls" to create some of the most far out and original textures we have ever heard come out of a synth. While programming this soundbank we were constantly saying "we never heard anything quite like that before". Complex rhythmic patterns and evolving effects can be heard simply by playing one or two notes at a time. When you combine a bossa nova beat with a eerie sound effect or an arpeggio with a dog barking patch something wonderful happens. A truly unique texture that can only be found with Karma's new way of controlling sound. It's a synth with personality! This soundbank is perfect if you're doing television, film work or video game scoring and you require background effects, killer pads or unique rhythms not found in the Karma's factory presets. We have created lots of different "atmospheres" that can be used as background to a video track. Many of the sounds can also be used in New Age or Synth type tracks. Many of the sounds are rhythmic in nature and a minimal number of notes are needed to create an effect. We have found that on many patches a cool atmosphere can be created by just playing one or two notes at a time with each hand. As the saying goes, "sometimes less is more". Check out the chord programming function to get a good idea of how the patch should be approached. On the sustained pad type sounds, many patches can take a while to go through the entire loop. Hold the note down and wait for the effect to cycle though. Then you will get a good idea of where the loop points are. The after touch and ribbon modulation and realtime controls were used on most patches. Experiment with them and you can take the sounds into another dimension.